Party People are entities who enjoy crowds and shun loners. 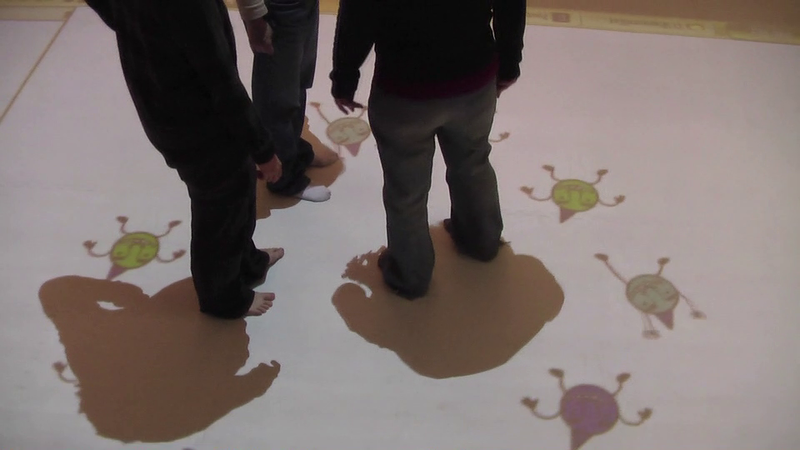 In this installation, the Party People are projected on the floor. As the audience move around and form clusters of crowds and groups, the Party People will respond to the groups in different ways. This installation utilizes computer-vision (OpenCV and Processing) using a webcam. 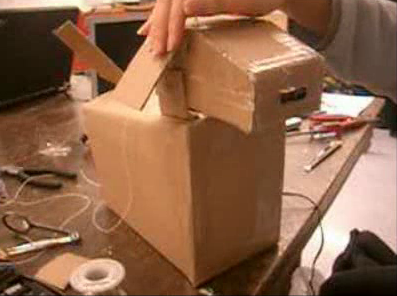 A cardboard-version Aibo utilizing microcontrollers, IR sensors, Servo motors, and photocell sensors.When the Doggy sees something in front of him, he will wag his tail. If you pat him on the head, he will lift his head.